All OWU e-mail policies are posted at our department website, including the Campus-Wide Email Distribution Policy. Several e-mail addresses have been designated for sending important campus-wide e-mail messages. The selected OWU groups and associated e- mail addresses, which are updated once a week, are listed below. The use of these campus-wide lists are reserved for highly important, urgent notices or for special University-wide events relating to academic or campus community life. For everyday University announcements, please use the OWU Daily instead. To submit a campus-wide e-mail for distribution, compose your message as normal, then use the address of the appropriate group to receive the message. 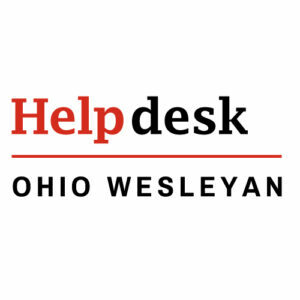 (For example, to send a message to all students, type students@lists.owu.edu in your “To” e-mail field.) To submit to multiple groups, separate each address with a comma. Be sure to see the OWU Campus-Wide Email Distribution Policy, above. All Students students@lists.owu.edu Students who are enrolled for the current term or, if between terms, the previous term, respecting Fall and Spring only. Seniors seniors@lists.owu.edu Students who have a rank of senior based on their earned credits in the current term. Juniors juniors@lists.owu.edu Students who have a rank of junior based on their earned credits in the current term. Sophomores sophomores@lists.owu.edu Students who have a rank of sophomore based on their earned credits in the current term. Freshmen freshmen@lists.owu.edu Students who have a rank of freshman based on their earned credits in the current term. New Students newstudents@lists.owu.edu Deposited freshmen and transfer students who have not yet matriculated (available to faculty and staff only).